Syosset High School held a special recognition ceremony as part of the National PTA Reflections program, welcoming all grades and abilities to explore and be involved in the arts. Thousands of students annually reflect on a common theme and create original works of art in the categories of dance choreography, film production, literature, music composition, photography and visual arts. This special program serves as a valuable tool for building strong partnerships in school and community. Every year, the Reflections entries in the high school keep growing. This year’s theme, “Let Your Imagination Fly,” inspired many talented children to submit their entries. 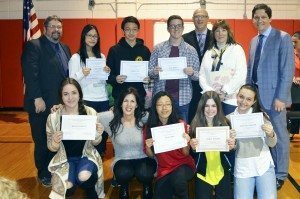 From the high school there were two winners for literature; Brooke Lewitas and Rebecca Ostrager; two winners for film, Darren Tunn and Ryan Smith; two winners for art, So Jin Shin and Sydney Chen; and one winner for music, Aileen Park. 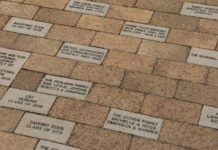 Ashley Monroe submitted two emtries for photography and one of her photos won Nassau County level for photography, while the other moved on to the state level of competition. 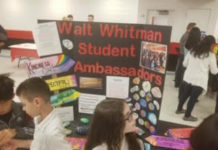 All the guests at the ceremony had an opportunity to see the masterpieces that were proudly displayed around the room and the event celebrated arts learning and the array of talents possessed by Syosset students. 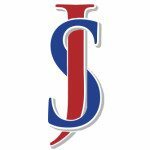 Since 1958, the Syosset Jericho Tribune has served the communities of Syosset, Jericho, Woodbury, Brookville, Lower Brookville and Muttontown as a trusted source for local news and community events.